This piece is a show-stopper! The seven cushion cut diamonds are surrounded by .67cts of Fancy Light Yellow round brilliant diamonds. 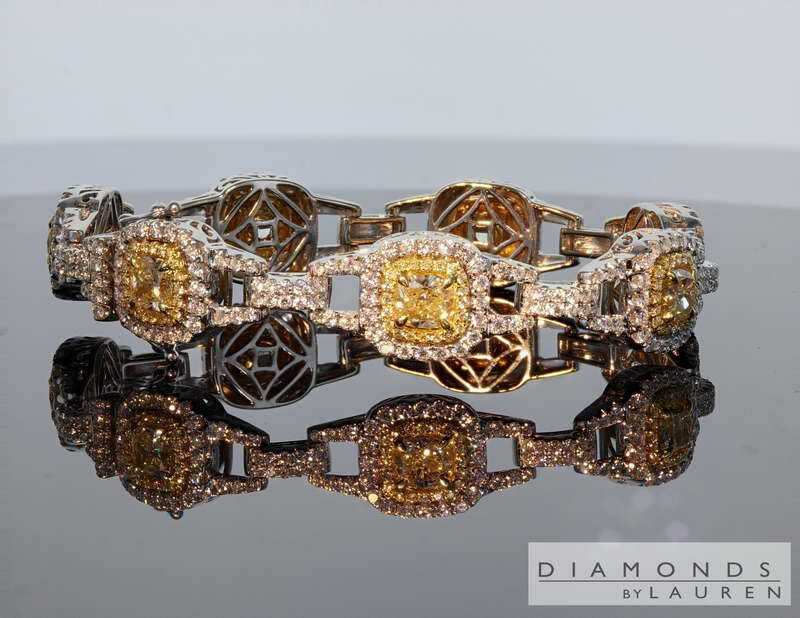 The whole bracelet is tied together with 313 colorless pave set diamonds. The bracelet impeccably made. The total length is 7.5 inches. The photos above are ACTUAL Photos of the diamond bracelet you will receive.